Why choose Christine Board Therapy Solutions Limited (CBTS) and Cognitive Behavioural Therapy (CBT)? "If we change how we behave we change how others see us." Are you finding it hard to cope with normal everyday activities? Are you feeling overwhelmed by life events and feeling trapped? Does it seem there is no way out? Are you at a crossroads in your life and need help with the next steps? Do you need to be truly heard and valued? Would you like to learn how to become your own therapist? If you can answer yes to any of the above then CBT may be able to help you? 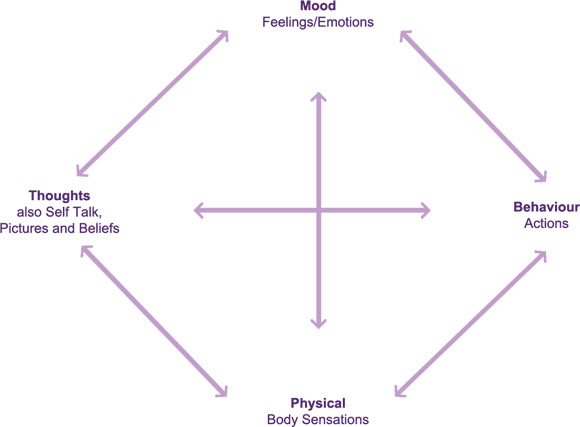 CBT is based on the cognitive model (shown in the diagram below). Cognitive means ("thought processes" as well as "knowledge" or "perception") and CBT is one of today's most successful forms of psychotherapy. It works on the basis of examining how your mood and feelings are influenced by your thoughts and behaviour. Although we might think of the above as totally separate entities, a change in one will have an effect on the others; this can be helpful or unhelpful. It is almost impossible to change your mood/emotions but what you do have control over is your thinking and behaviour. CBT teaches you which behaviour and thoughts have the best effect on your mood. The aim is to help you understand what you do, to maintain your emotions, so you can make changes should you want to. 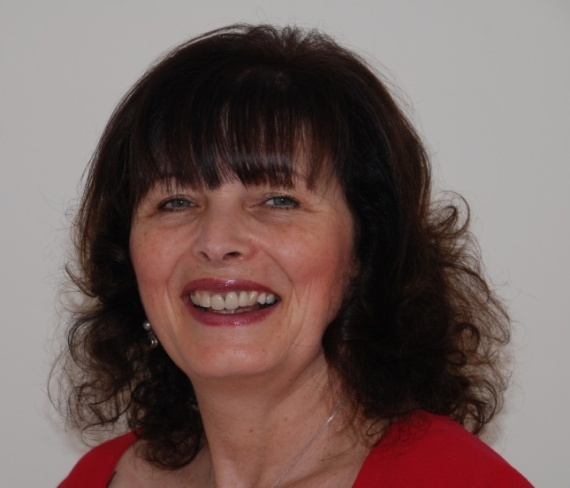 Experience has shown that the majority of clients find between six and twelve weekly sessions will bring about really beneficial changes, but if you need more or would like to gain a greater understanding and a deeper awareness into your issues we can negotiate this at the time and we can continue.